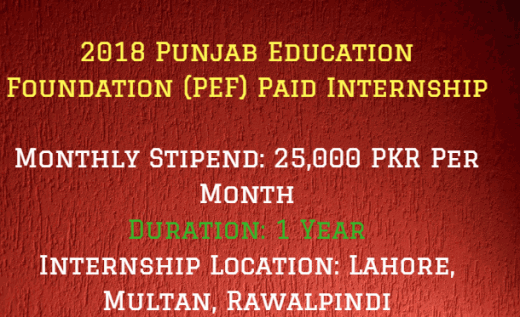 Punjab Education Foundation has announced the latest advertisement regarding ‘Pakistan Education Foundation PEF Paid Internship 2018’, which will have the duration of one year internship. The participants will be awarded the monthly stipend as 25000 PKR per month. 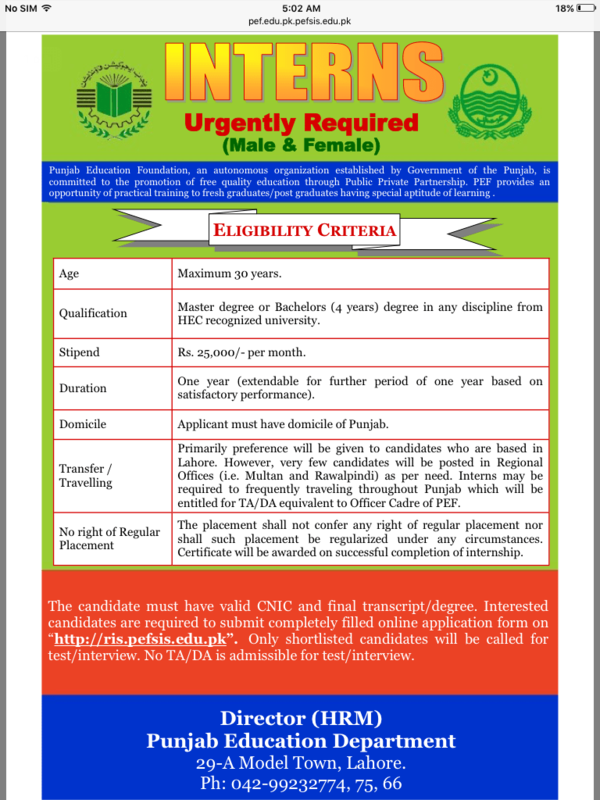 PEF required the male and female candidates for the internship and Punjab Education Foundation is the government organization of Pakistan located in Punjab and it is dedicated to promote the quality of education at the affordable rate for the students, who want to learn and get excellent results. The male and female candidates are encouraged to apply for internship program, which is being offered to them. The candidates can check the below latest advertisement and the internship will be offered in various cities of Pakistan. The interns will visit the different cities of Punjab in internship program and the TA/DA will be provided to the interns. Maximum age of candidates must be 30 years. Must have a Masters or Bachelor’s degree (4 years) in any Discipline from any HEC recognized institute. The applicant must possess a valid CNIC. The females and males students are encouraged to apply.